The smallest state in India with a very small population, Goa, is not only India's but Internationally one of the most sought after Travel Destination. A former Portuguese colony which has lent Goa, a rich heritage and great ethos. Goan culture and population is a beautiful and distinctive blend of Hindus, Roman Catholics and Portuguese, so is its streets, food, speech and everything that belongs here. People here call themselves "sussegaad", a Portuguese word which means "easy going", who love good food, good music and an easy going life. Everything about Goa drives people in, its Sun-kissed Beaches, famous flea & night markets, night clubs, the Goan villages, the UNESCO site - Old Goa and the list is never ending. I love it all. I love Goa. I have spent 5 most precious years of my life in Goa including 4 years of my college and feel a strong, forever bond with this ever charming state. It is like home. Now I don't stay in Goa anymore, and when I recently got a chance to visit my most favorite place, I just booked my ticket, packed my bag and left for my weekend getaway. Courtesy my dear college friend, who was getting married and that's how I got a chance to attend Catholic wedding also, a dream come true. Old Goa or Velha Goa which served as the capital of Portuguese India, is best visited in the morning because its lots to cover and appreciate rich Portuguese heritage before the day gets too hot and sweaty. Make sure you have half a day to stroll through this UNESCO World Heritage Site. Also, there is so much to buy from this place from great souvenirs to beach attires, hats etc. The only problem is for vegetarians, there is not much to eat for them, but after much search I could find Monginis cake shop, right in the lane opposite to the compound of Basilica of Bom Jesus, you can have some snacks here and then head to Panjim which is around 9 km from Old Goa to have your full lunch. All monuments - 08:30 am to 05:30pm, open all days including public, state and national holidays. Archaeological Museum - 10:00 am to 05:00 pm, open all days minus Fridays. Still Photography is allowed inside many churches and cathedrals but not in the museums. Once you are through the heart of Goa Heritage you can head towards Panjim, which is around 9 km from Old Goa. 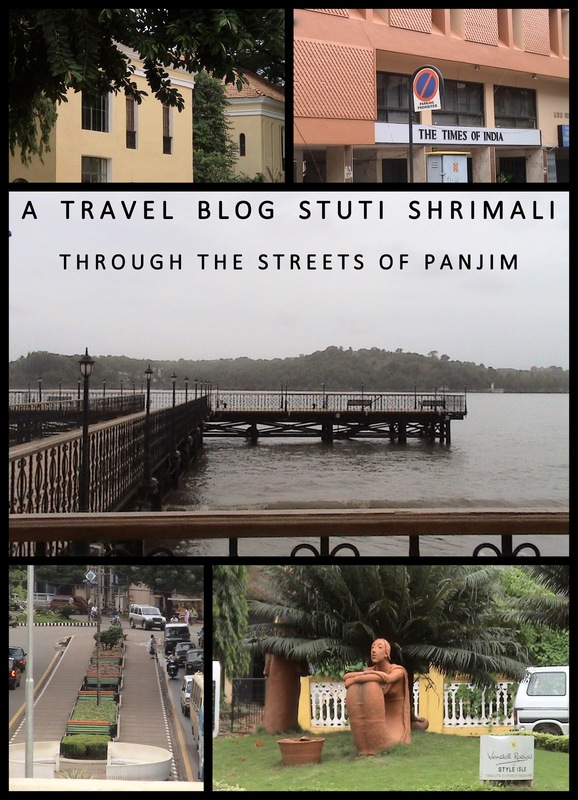 There are many restaurants in Panjim where you can dine, have good food & a drink and enjoy the ambience too. Being a vegetarian, I preferred having my lunch at Sher-e-Punjab Classic. But you can try from many other famous eateries like Upper House, Viva Panjim, Hotel Venite, Tea Cafe Goa, Horse Shoe etc. 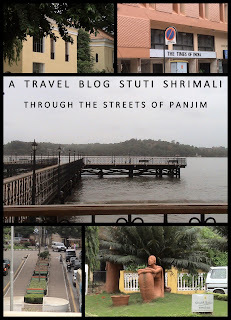 After a good lunch you can tour Panjim. 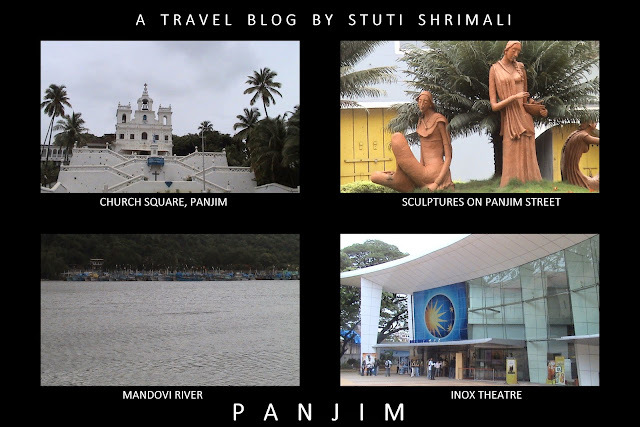 You can visit Panjim Church Square, Panjim Jetty which is behind Kala Academy, Dona Paula then relax in Miramar Beach, take a walk through Heritage houses and if you are a fan of cruising, you can go for a ride in the Cruise like Santa Monica (booking needs to be done). You can also do some shopping from here like Cashews (Goa - cashews are really famous), Goan Handicrafts, Souvenirs, Trinklets etc. After having a great first day and a great night sleep welcome the 24th hour of your trip with a hearty breakfast at Kamat Restaurant. Take off towards Vasco-da-Gama, the port city of Goa. On the way to Vasco, you will see an island attached to the road on the right hand side while coming from Cortalim Circle. 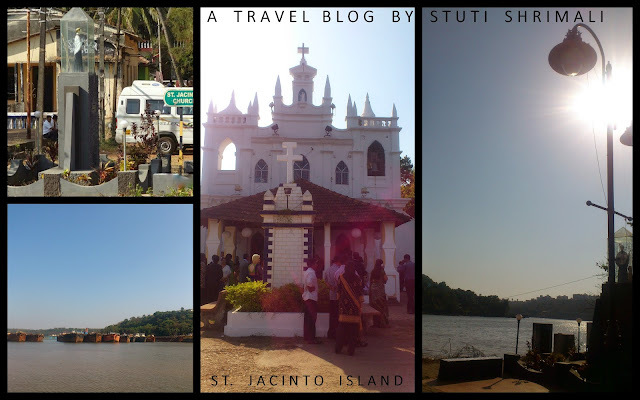 St. Jacinto Island, is a beautiful li'l island which is considered as the most exotic part of South Goa. Most of its part is covered with lush green forest, few old houses and what stand out of all is the beautiful old church which can be seen even from far away. The island has got its own charm, looks pure and by being here you can feel the tranquility of mother nature. The island has a light house and hilly terrain inside which attracts a lot of hikers to enjoy a good hike and li'l adventure. 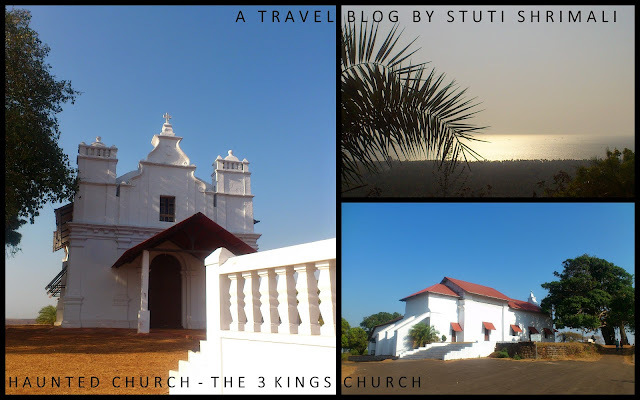 The 3 kings church, which is better known as the Haunted Church of Goa is situated at Cuelim Hill, Cansaulim Village. Once infamaous, now a well known tourist spot is worth a climb. The 360 degree view of Goa from this place is breathtaking. In fact, you can easily see the ocean and the tall palm trees bordering the beach stretch from Velsao to Colva, i.e. close to 20 km stretch. Whoa!! The church is surrounded by greenary and is a delight to the Photographers, as one can capture some really great pictures including some good panoramic view from here. After enjoying a good view and folklore, you can head towards some pet pooja, before going to the final destination of the 36 hours trip. When I lived in Goa, my home was in Vasco-da-Gama and my hang out place with my buddies used to be "the Temptations". So I just could not miss going there before leaving from Goa. 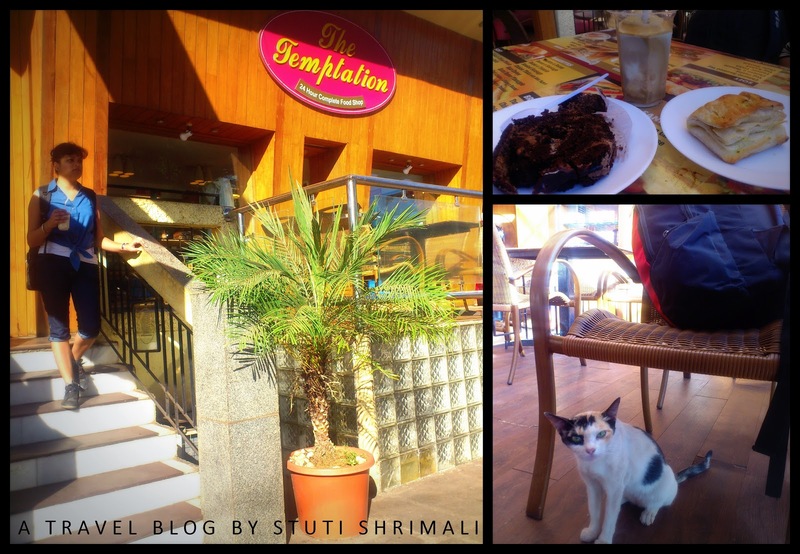 I had my lunch there and then headed straight towards Madgaon. A trip to Goa is never complete without hitting a Beach. A Beach is the soul of Goa Tourism. On my trip I chose Colva as my train back home was from Madgaon. Also Colva Beach is one of my favorite beaches in Goa and just couldn't afford to miss visiting it. Colva Beach is a beautiful, white sand and one of the safest beaches of Goa. It resides in South of Goa and stretches for around 2.4 km. It is famous among tourists for its neatness, beauty, budget hotels, Govt. owned hotel (Colva Residency), beach shacks, food stalls, restaurants and shopping street. It is the beach which is neither very crowded nor isolated. Its a beach to relax where you can come alone and attain solace or with a bunch of friends and play volleyball indeed. The Queen of beaches in Goa. This was my last destination of 36 hours fun-filled and rejuvenating trip and now its time to say bye bye to this beautiful place, to come again some other day. Hope you enjoyed the journey. Travel Season: The best time to visit Goa is from November to February. The peak tourist - months are December and February. Carry: Light clothes, all along the year. And water and some snacks in your bag while exploring Goa. Road - Buses frequency is good, well connected to other cities from Madgaon, Panjim and Mapusa. 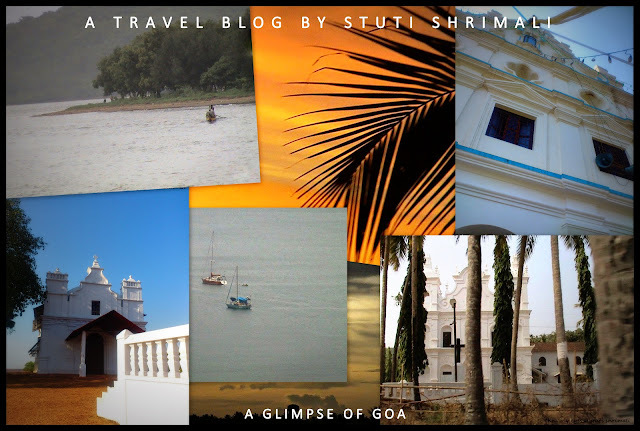 For more info on where to stay in Goa and other miscellaneous info: CLICK HERE. 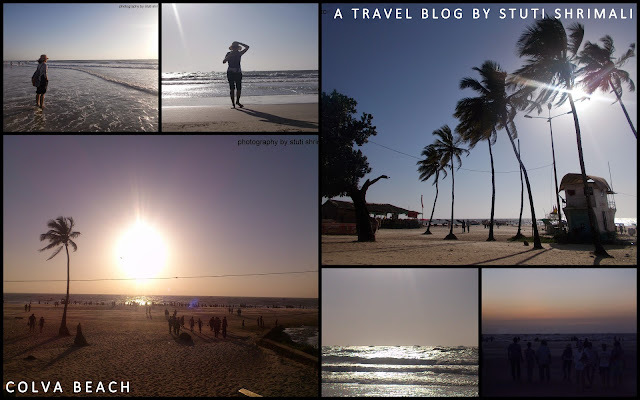 For more Pictures from Goa: CLICK -> GOA DIARIES I & GOA DIARIES II. I consider it as my second home though I don't have one there. It's close to my heart as well. Cool. Plan well. Lemme know if need any help. I am sure you must have liked it in monsoon too.